Delightful Solo Travel | THIS...I...DO...FOR...ME! This post focuses on dream destinations, pleasures of solo travel, growing through discomfort and the importance of forming new friendships! 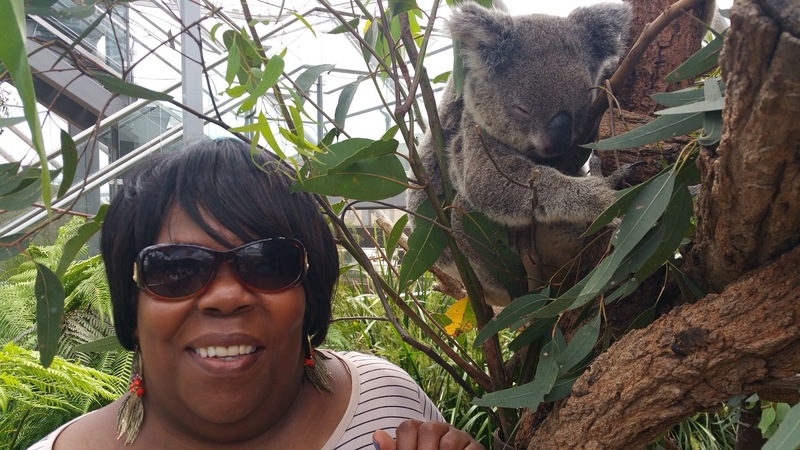 At the beginning of 2015, taking a trip to the continent of Australia was the furthest thing from my mind. Even though the country was on my bucket list, it was way down on the list — mainly because I knew very little about that continent. It seemed like a whole other world. I just assumed that I would get there, sometime before I left this earth, not in 2015, however. I hadn’t even identified a particular area (e.g. Melbourne, Perth, Tasmania, etc.) that I wanted to visit. The mantra? JUST GO TO AUSTRALIA! JUST GO TO AUSTRALIA! Ironically, though, my mind always went back to the many New Year’s Eve Day celebrations I watched on television over the past 10-15 years. It is at this time that I, like many Americans, get to watch the New Year arrive first in Australia. You always see the iconic Sydney Opera House, its beautiful architectural sails displaying some celebratory image, along with a fire works show that had you longing to be right there in the middle of all of the festivities. Even though one could easily visit Melbourne, Perth, Cairns or even Tasmania, Sydney and its many beautiful sites — Darling Harbour, The Taronga Zoo, The Rocks, Bondi and Manley Beaches — was embedded in my subconscious mind to the point where I didn’t even think about other destinations in Australia. Besides, even the name Sydney has a sophisticated ring to it! 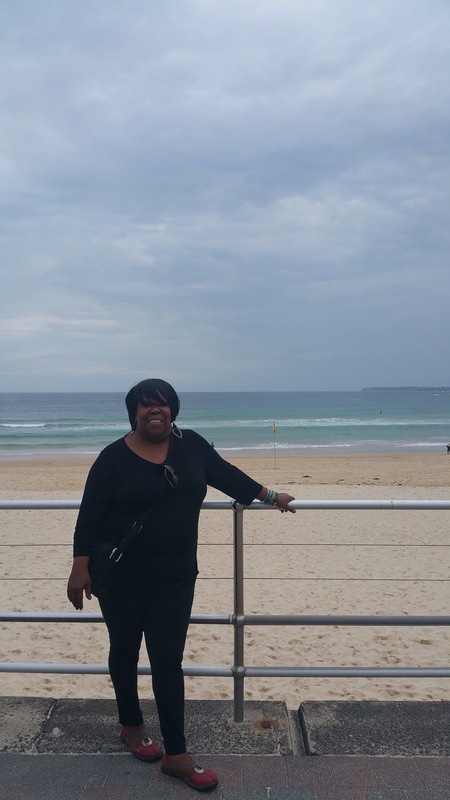 Then the most serendipitous happening occurred — I came across an incredible fare (flight, accommodations and excursions) with Qantas Airlines! I wouldn’t allow myself to think about Sydney, until I returned from France. Even though it took me three weeks to recover from France jet lag, I still managed to muster up the energy to create an imminent dream trip that would be taken in less than two months. And a Dream Trip it was! I must also mention that with all of the traveling that I’ve done, both domestically and internationally, Sydney was my first solo trip! I know a few people that have traveled solo for many years, and they always touted that they loved these trips because they could awaken when they wanted, eat where and what they desired, be open and available to meet new people, and set their own schedule of daily sites to be seen. I have to admit, this was a new way to travel for me, but I was game! 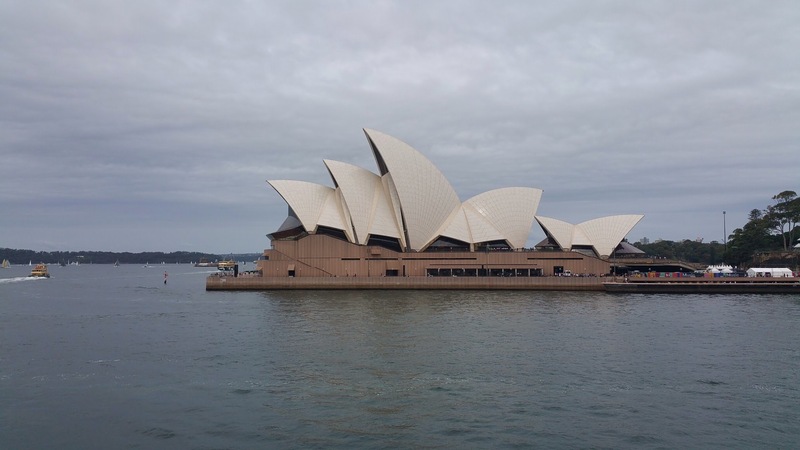 DAY 1: After getting settled in my hotel room at The Great Southern on George Street, I immediately ventured out for the first of my scheduled excursions — A Captain Cook Sydney Harbour Cruise. This allowed me to see a panoramic view of The Sydney Harbour Bridge, along with the stunning Sydney Opera House. I happened to befriend a group of Monks from Thailand, who were as friendly as they were serene and soft-spoken. We took turns taking pics with each other’s cameras and/or cell phones. We all stood on the ship awe struck that we were “Down Under” and grateful for having crossed each other’s paths. I then enjoyed a delicious meal Al Fresco at Rossi’s, also on the Harbour. The Italian food offerings were mouth watering. Ironically, the eatery was Russian owned and operated. It is important to mention that 44 per cent of Sydney’s population is not from Sydney. 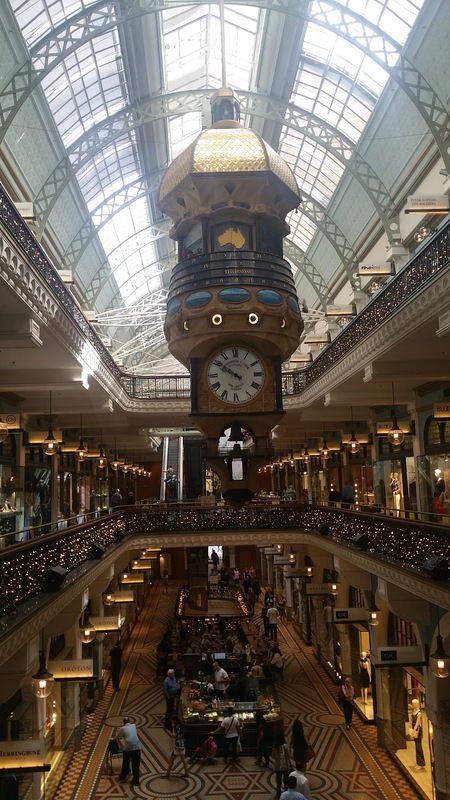 DAY 2: I awoke highly rested and energized to take on my next Sydney site — The Queen Victoria Building (QVB). After The Opera House, The QVB, was my second most desired site to visit. Talk about stunning — the architecture, the six domes atop of the building and the elegance of its interior was breath taking. It was already decked out with Christmas decorations, and each store and boutique was beautifully organized and receptive to its customers. Because my hotel was only seven blocks from The QVB (also on George Street), I ate breakfast there every morning. Afterwards, I went back to Sydney Harbour, grabbed some good street food, and listened to the musicians situated at various points there. Sydney is a great place to people watch, and again, I was struck by the amazing diversity of the city with its huge concentration of Asians. I struck up a conversation with one of the musicians who hailed from Liverpool, England (the home of the Beatles). He specialized in the music of American folk artists. He asked me if I had any musical requests, and being a big jazz fan, I couldn’t think of one folk artist or song in that moment. So he delighted me and all the others on The Harbour with tunes from Tracy Chapman, James Taylor and Joan Baez! In my next post, I’ll talk about the surprise new friendship that I formed. Chat with you later, mates!